No matter how one chooses to look at the judgement of the Pulau Batu Puteh Case by The Hague International Court of Justice (ICJ) on Friday 23 May 2008, Malaysia gaining sovereignty of Middle Rocks is a joke at best. Pulau Batu Puteh (Pedra Branca in Portuguese), the ‘white rock island’ which is about the size of a football field and now under Singapore’s sovereignty, is in the foreground while Middle Rocks are in the background. Click on the picture below and see what our ‘pebbles’ can accommodate. Surely winning Middle Rocks is hardly something for us to gloat over when the land area for which we have sovereignty, at most, is only good for a picnic outing (if one is up to it) compared with a land area that can accommodate a whole facility, including more than one kitchen sinks. So what is our Foreign Minister, Datuk Seri Dr Rais Yatim, trying to say when he “regarded the judgment as a “win-win” situation”? Trying to soften the loss when we have bungled big time, izzit? Yeah, i do recall that sometime last year a blogger in Singapore ‘caught’ someone in our defense team ‘lifting and doctoring’ a photograph to help build our case. Who is this person and did what he/she do could have caused us to lose our ‘rock?’ Heck man, cheating is as good as admitting that one does not have a case and resorting to trying to bamboozle the learned judges of the ICJ would be fair game. What cheek! What derring do! my question to our administration is this: Would there be an inquiry as to whether we had put together the best brains for this mission and whether the ‘forger’ would be brought to book for daring to stoop so low and compromise our nation’s case and integrity? And how much money did it all cost the tax payers for losing not only our piece of ‘rock’ but also our ‘face’? The ‘before & after’ of a botched trickery. Get the full story of the judgment here. Here’s what our PM have to say here regarding our loss. Here’s what our Foreign Minister have to say here regarding our win. And here’s Singapore’s report in The Straits Times here. Losing the small Island is no big deal; but losing the sovereign boundary will include all the natural resources within the boundaries. There is a high probable oil field around there. OMG i didn’t know that was what middle rocks looked like! What a joke, i bet you’ll never see that picture of Malaysia’s ‘sovereignty’ in the papers. 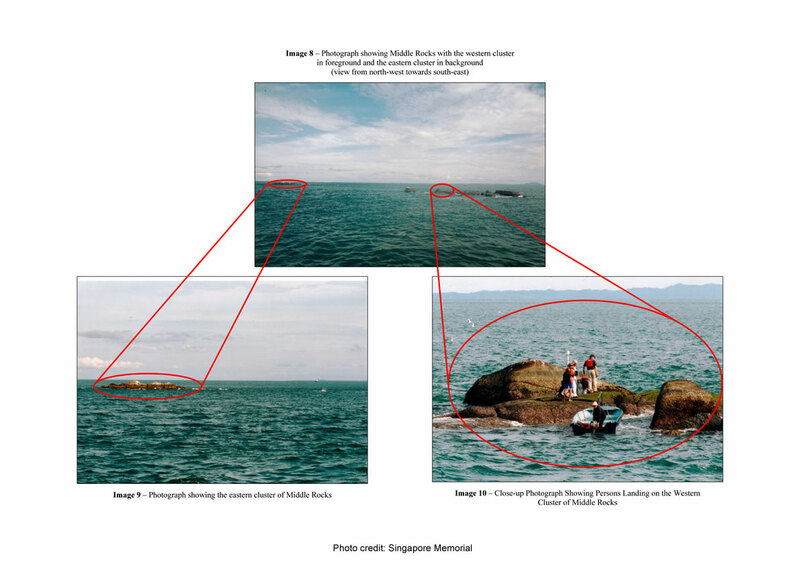 It’s actually a wonder why and how the government “found” the doctored photo on that one particular blog. And besides, it was the government themselves who claimed that “bloggers are all liars and spindoctors”. If that is the case, why then did they take a photo from a “liar”? You are all whingers (new word, I learn from my girldfriend). Boss said “win-win”, not “win-win-win’. That’s why we win two rocks not three, okay. Those two rocks are big enough to build at least a massage parlour (“Get your rocks off” is a good name, no?) for VIP (very impotent persons). Also good because it is faraway, difficult to get to for bloggers or people with video (ask that very soi Dr Chua from MCA). Also, our 3rd kelas graduates dapat pi UK, Europe, etc all at rakyat expense. Big win-win for them too. Malaysia boleh. Other than the botched photo using a dolly zoom, there is the picture of the map itself you have shown at the top of the article. Three is the distance of 25.5 nm from Singapore and 7.7nm from Johore. 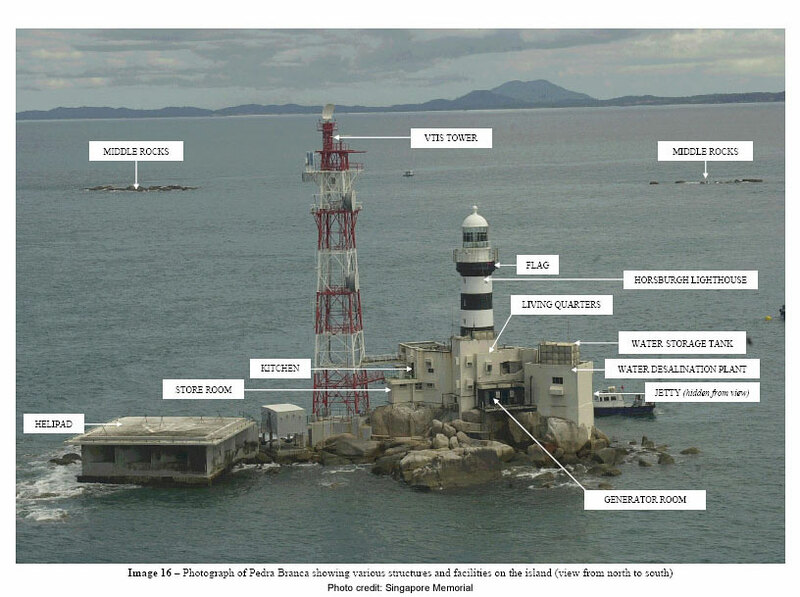 The intention is clearly to show that Pedra Branca is closer to Johor than Singapore. But any law novice will know that distance and proximity is not the sole, or even consideration or criterion. If that were so, then Sabah and Sarawak should belong to Indonesia. Then the Falkland Islands should belong to Argentina and not Britain. Be that as it may, why is the distance to Bintan in Indonesia not shown. Bintan is 7.6nm from Pedra Branca. So, what happens to the truth, the whole truth, and nothing but the truth? Or, as usual, besides our penchant for selective memory, we are also economical with the truths? it should have been win-WIN. then the DPM told our fishermen to lay off the rocks for time being for legal matters to be sorted out. and i thought the ICJ has ruled they are ours. seriously, do we need to get the nod from HRH Lee first or what la?? well the two ‘pebbles’ can be our lookout post for the coast guard in case some Singaporean plans to flee their country and into ours… HAHA. just a few rocks. why fight like small kids??!! 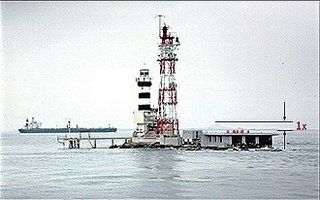 even though the middle rock is small, but the border covered by it is big,it provide bigger fishing area for our fisherman. better have some than nothing. Pierre Phillips-Sinsua … you are absolutely right, it is a huge loss. The larger implication is the international maritime boundary between Singapore and Malaysia has shifted in Singapore’s favour. 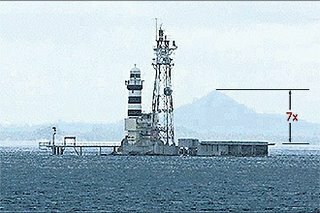 From a compromised strategic defence position to loss of natural resources in the water (predominantly oil and gas, if any) to the reduced expanse of area for our fishermen’s to ply their trade and put food on their tables – all had been irresponsibly squandered away by our fools of the highest order. Thank you for visiting.